February can be a dark month here in the northern hemisphere. Perhaps that is why holidays like Candlemas and Valentines Day are so important to bring a bit of light and cheer to help us get through the last of winter. 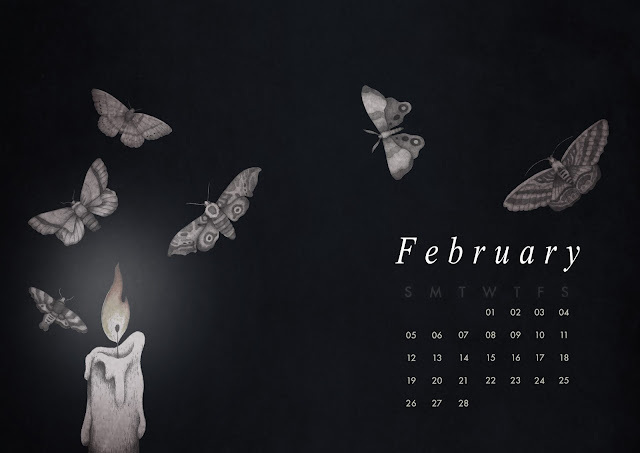 Here's a new desktop calendar free to download for the month of February!